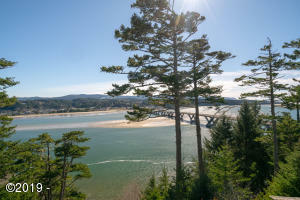 UNOBSTRUCTABLE and PANORAMIC! 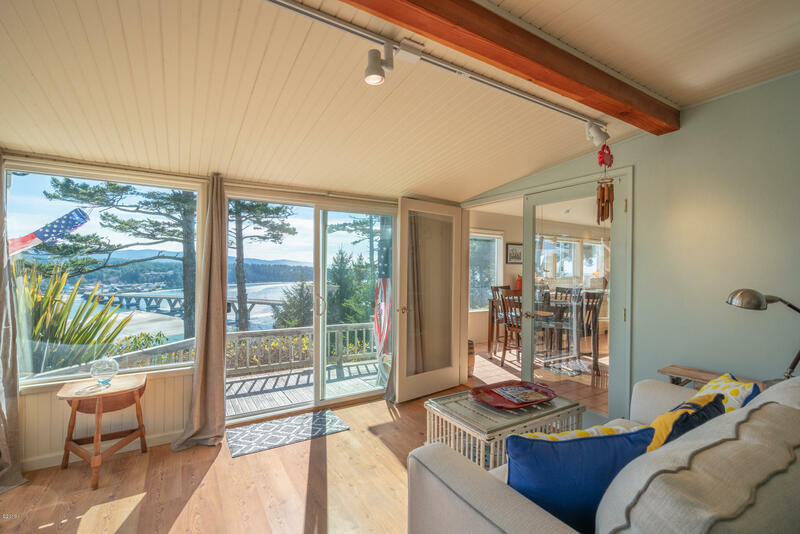 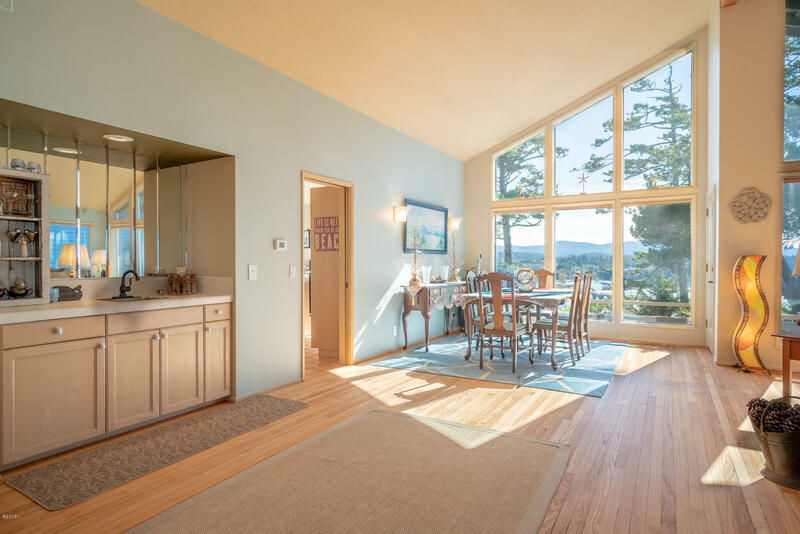 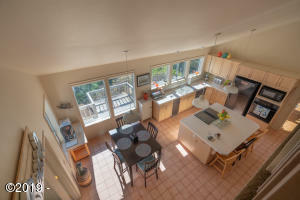 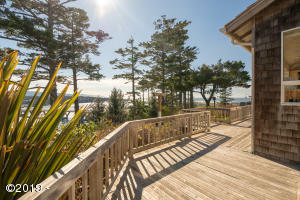 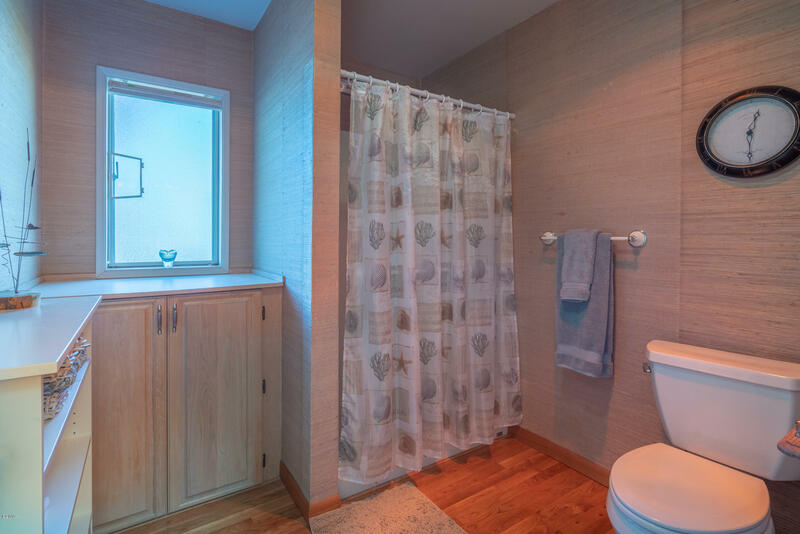 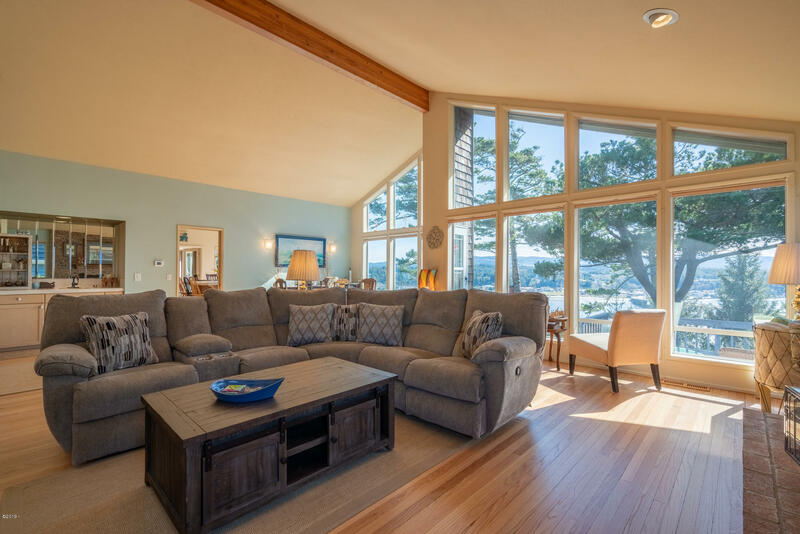 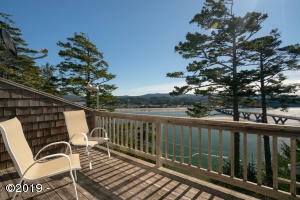 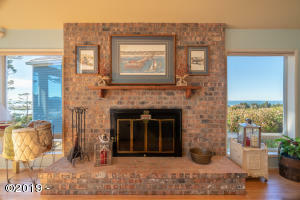 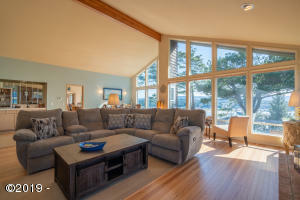 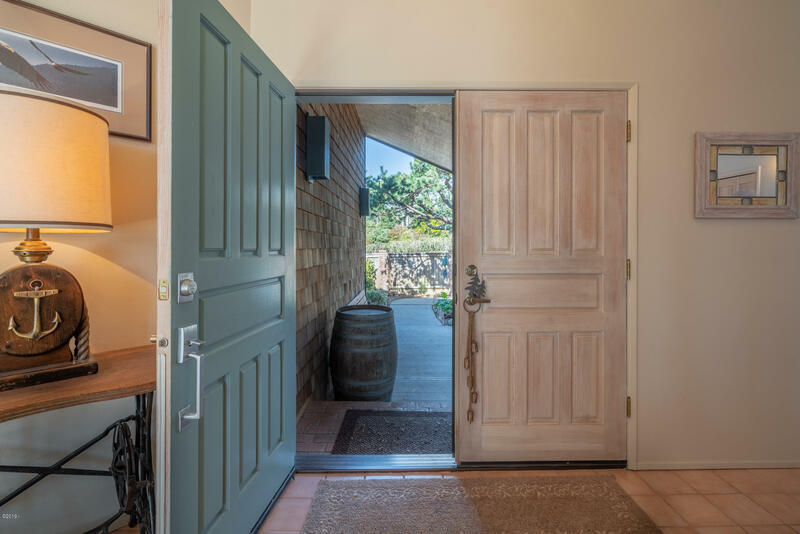 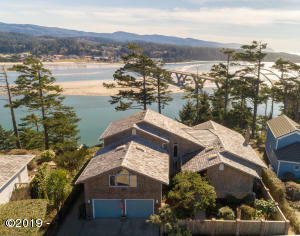 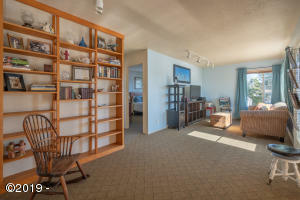 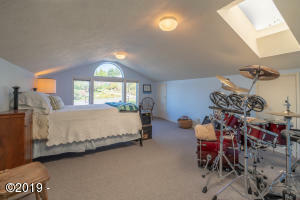 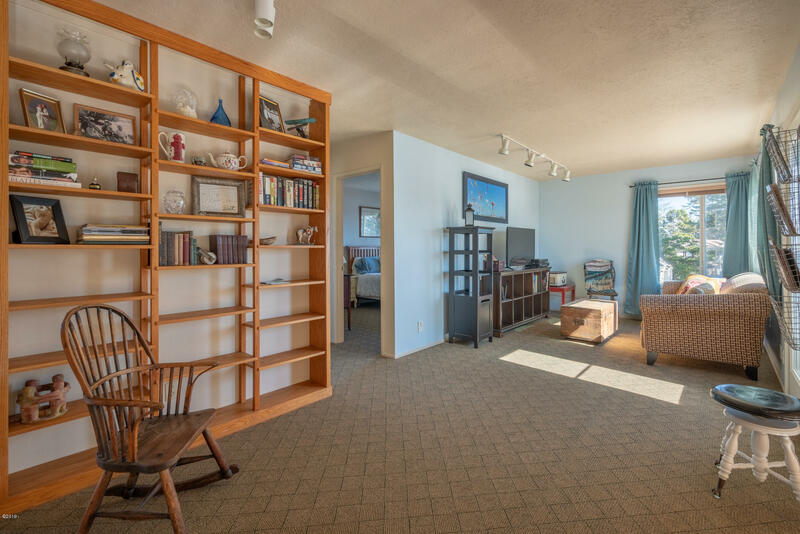 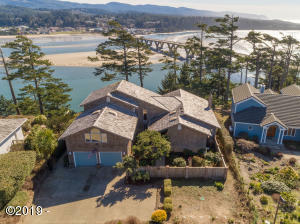 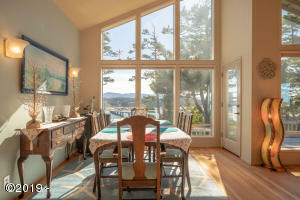 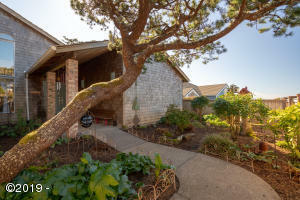 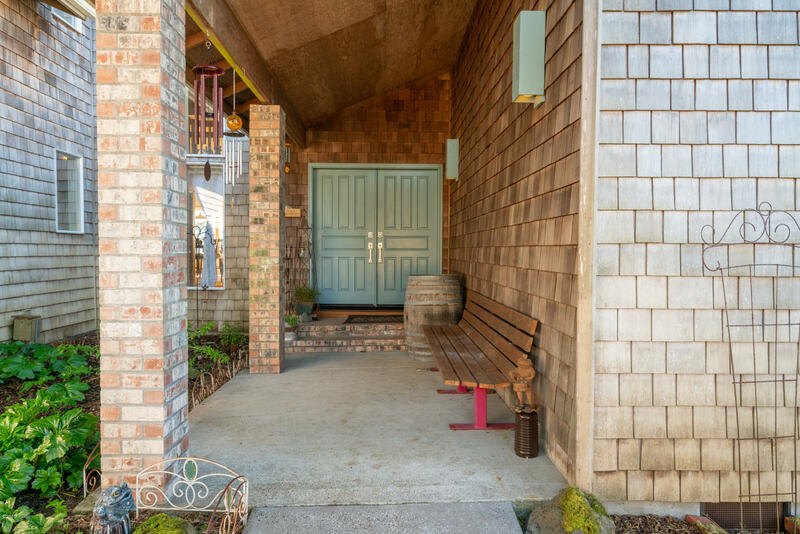 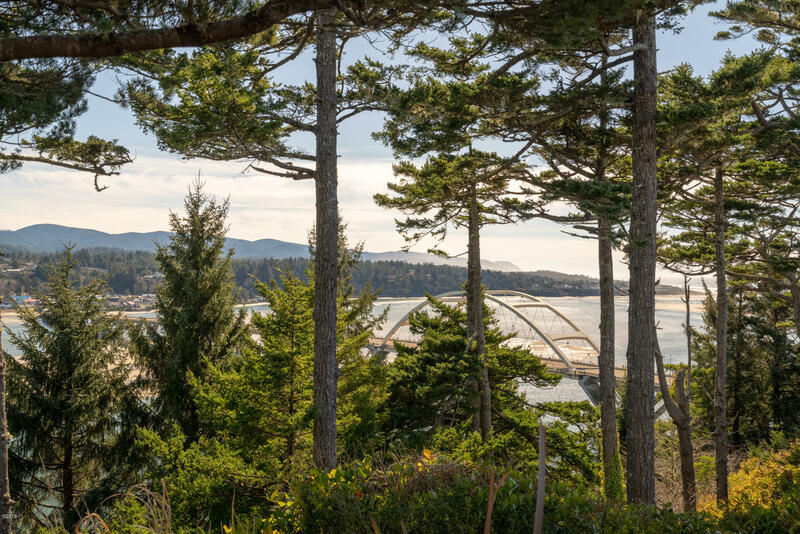 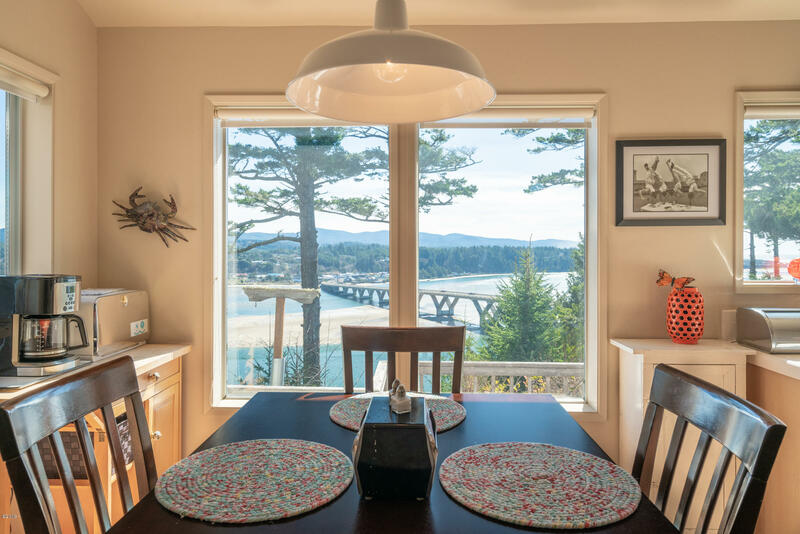 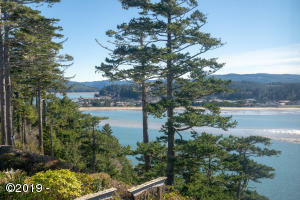 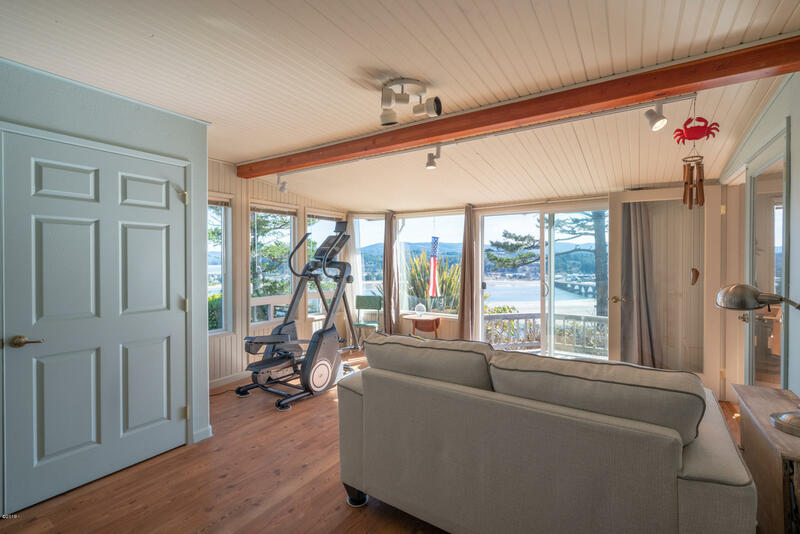 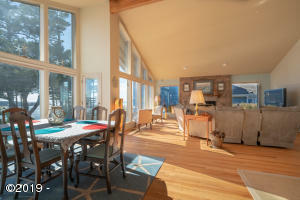 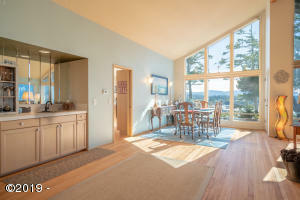 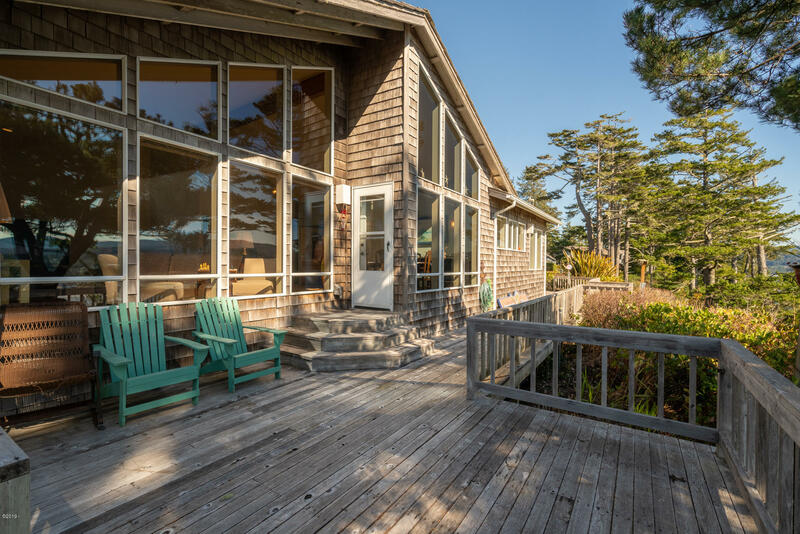 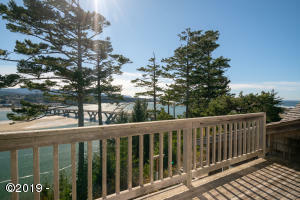 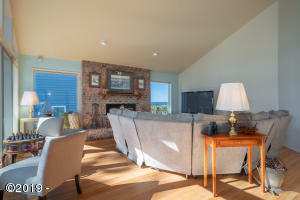 Unbelievable south-facing views of the Alsea Bay, Bridge, and Pacific Ocean. 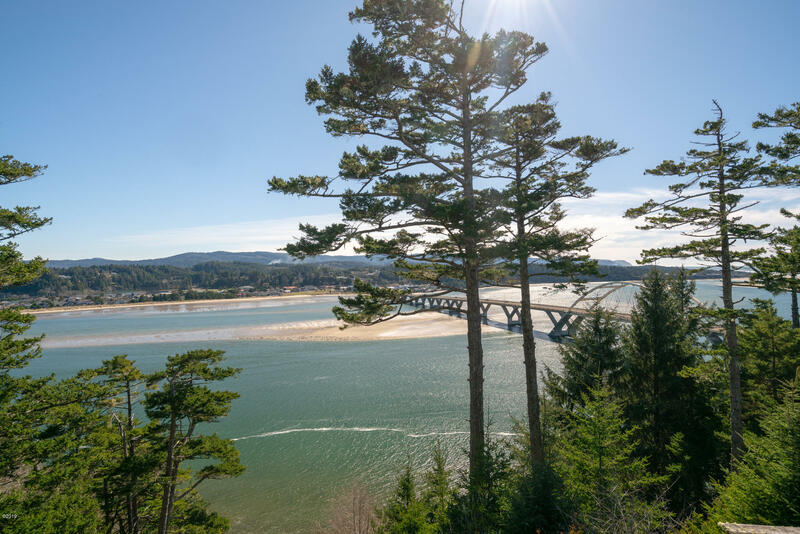 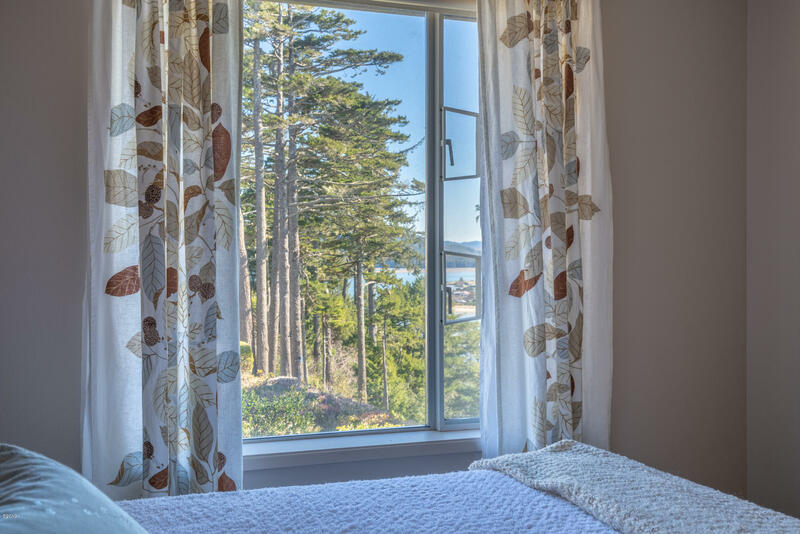 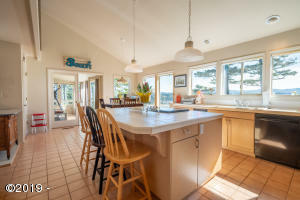 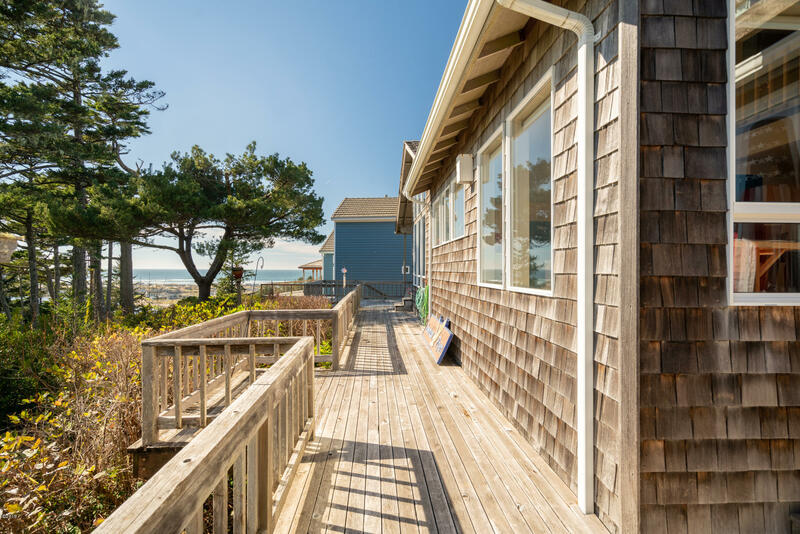 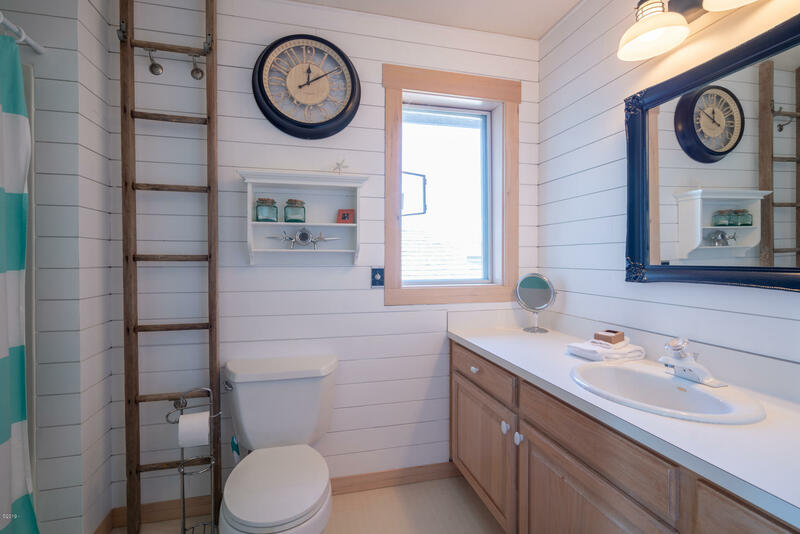 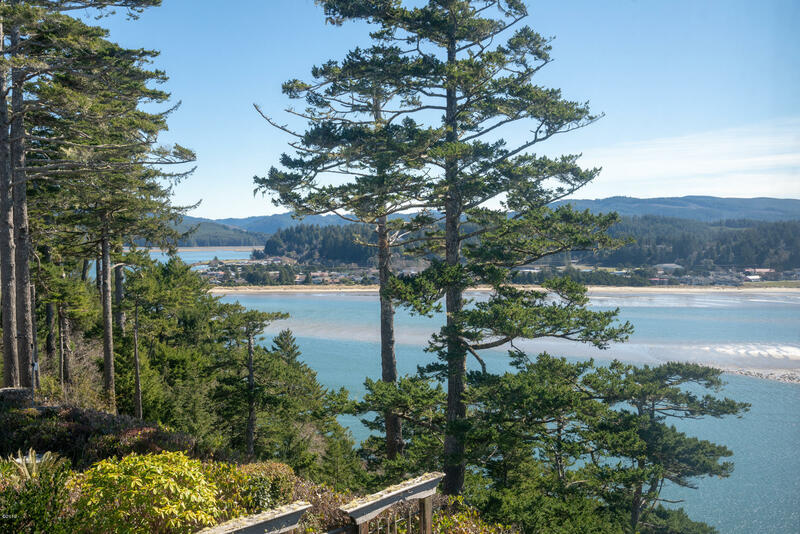 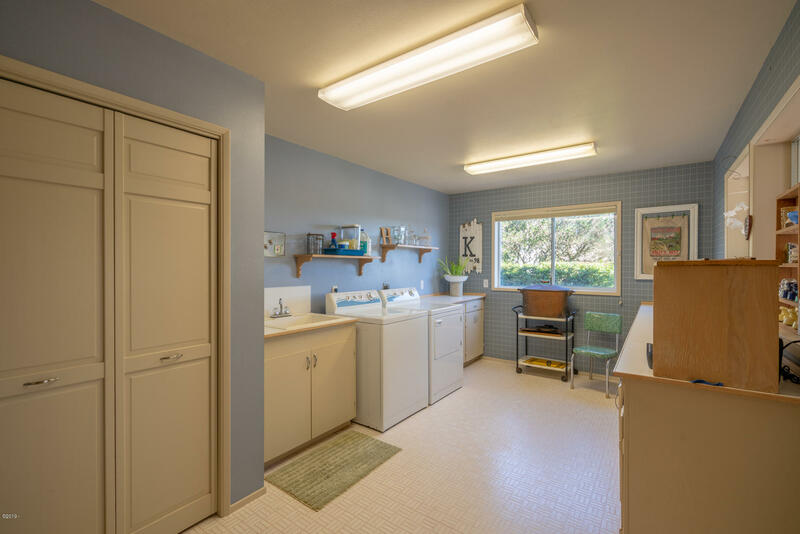 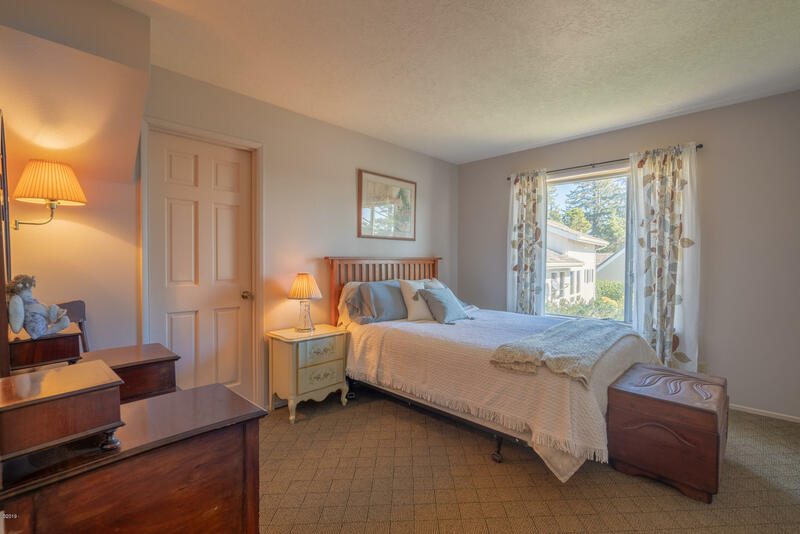 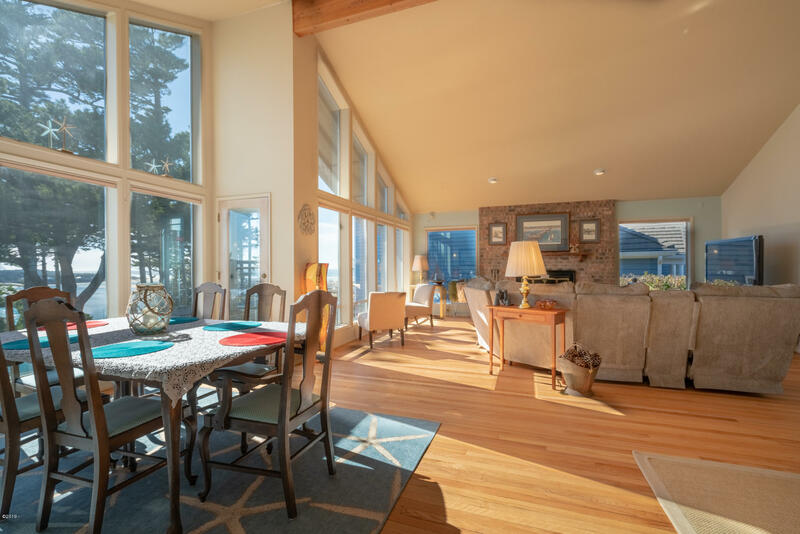 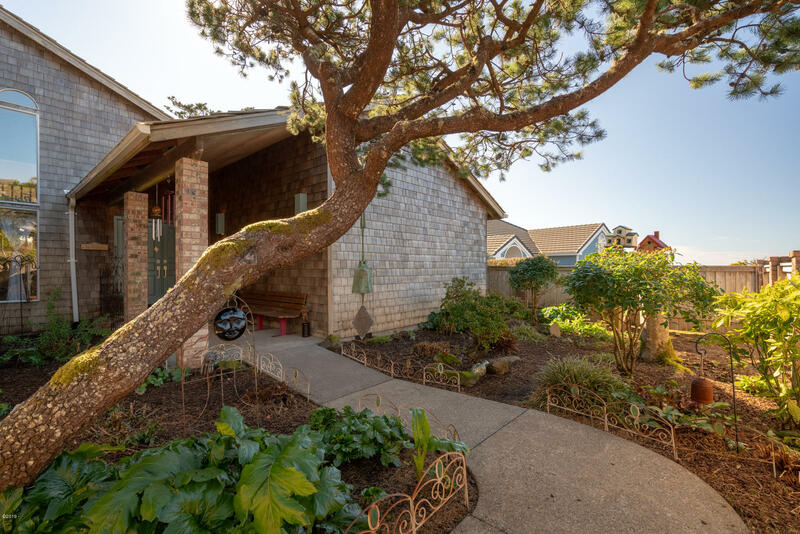 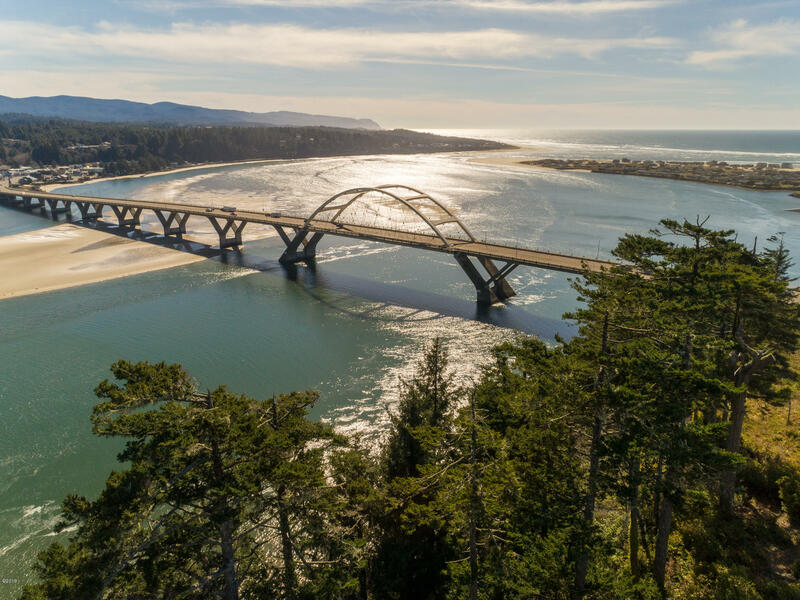 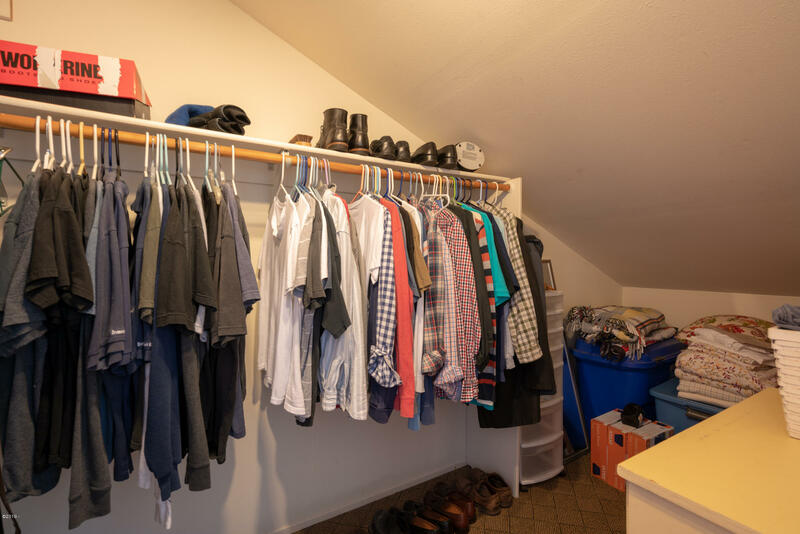 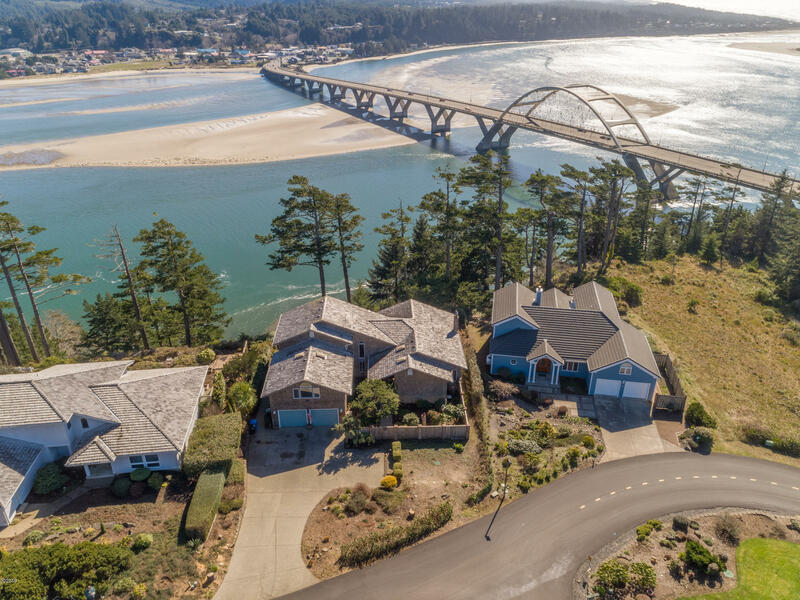 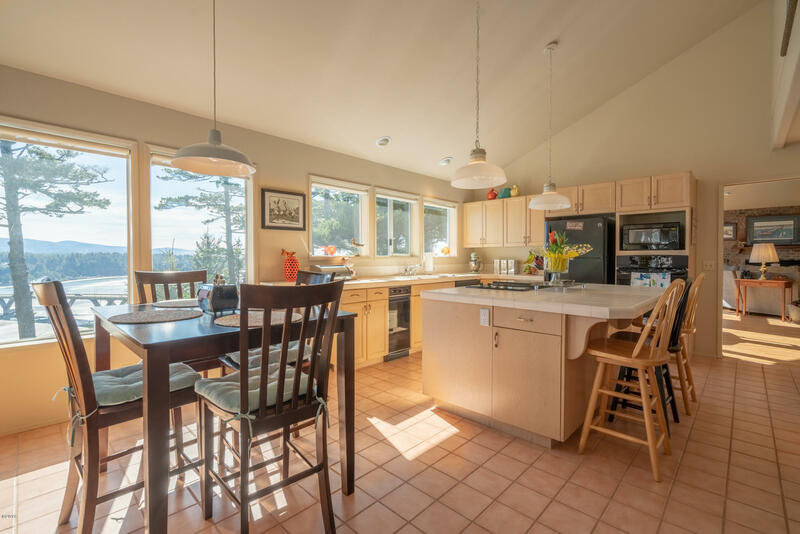 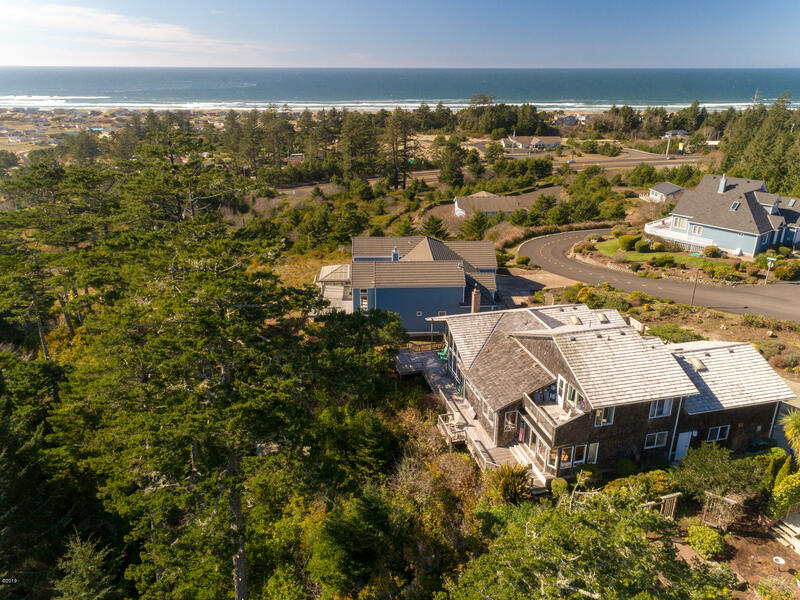 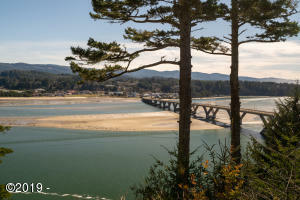 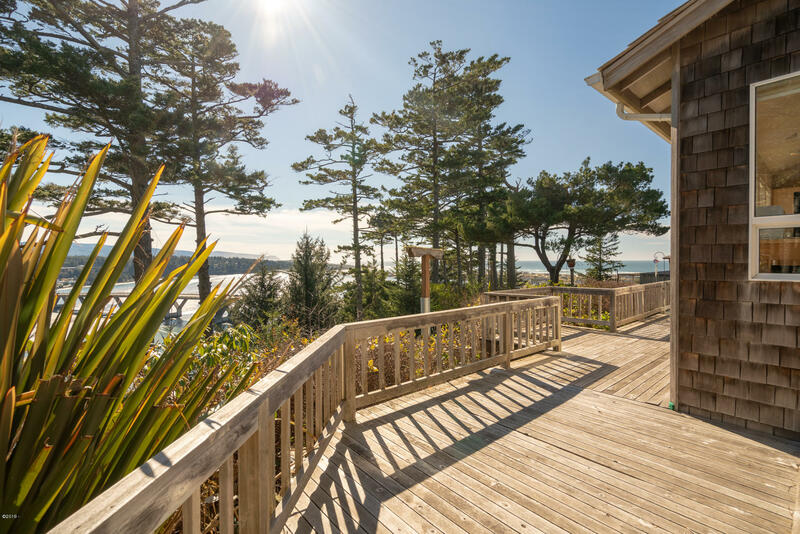 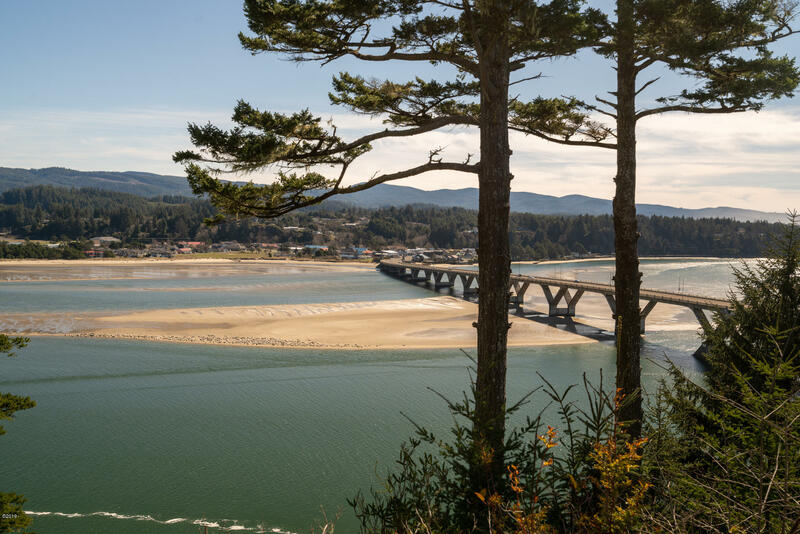 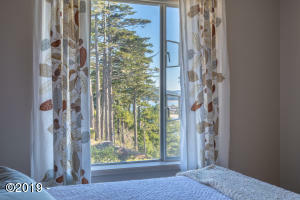 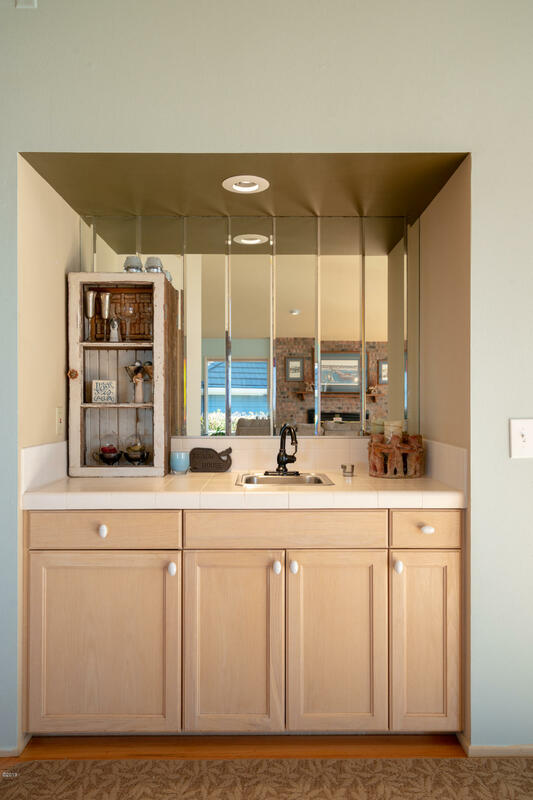 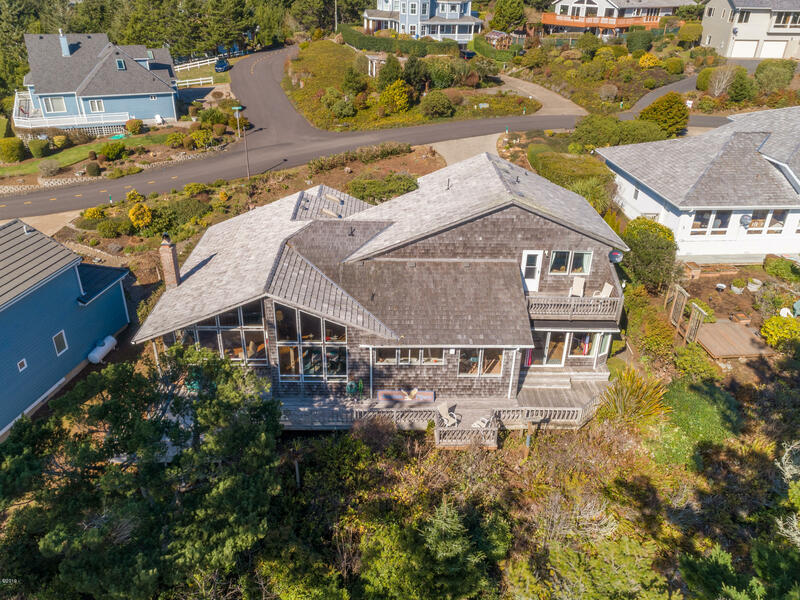 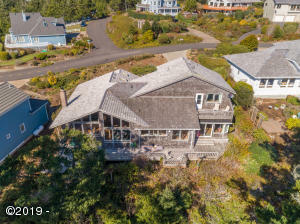 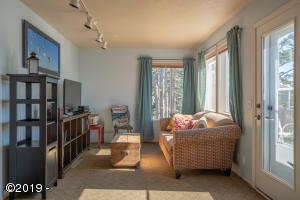 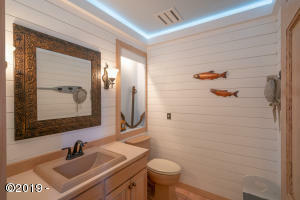 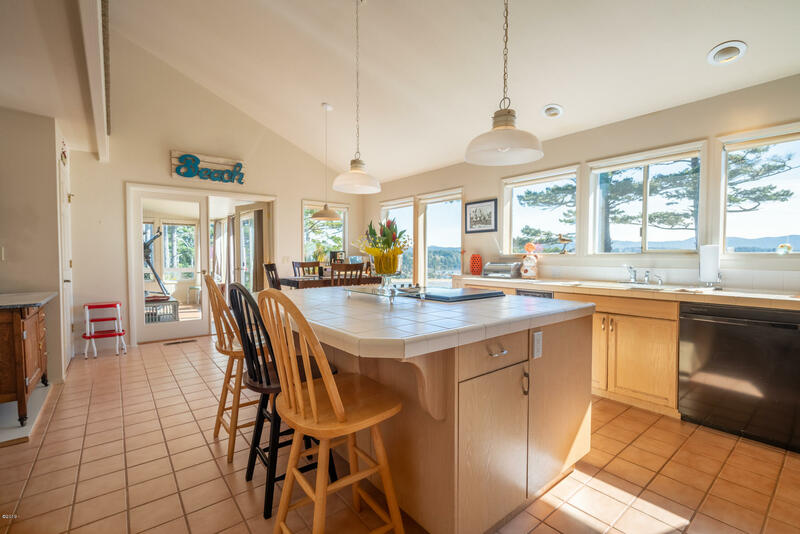 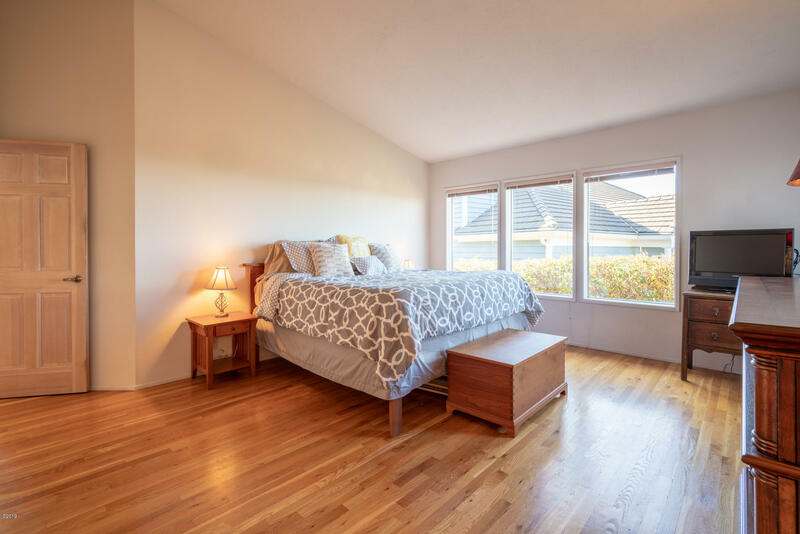 This unique location, high above tsunami zone and away from it all, offers a birds-eye view of basking Harbor Seals, fishing and crabbing boats, and all the sights of Alsea Bay. 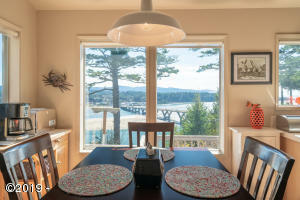 Almost every window has a water view! 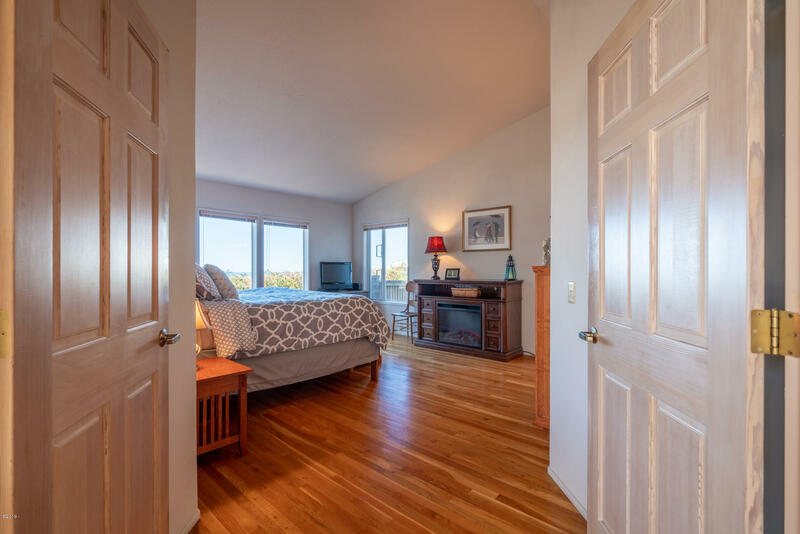 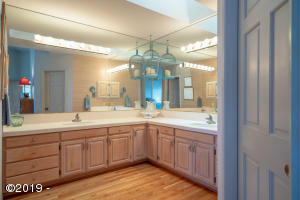 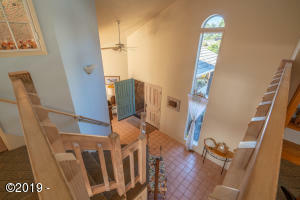 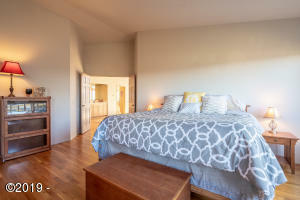 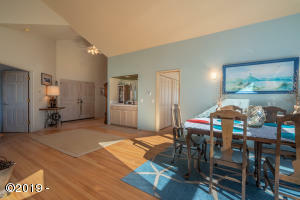 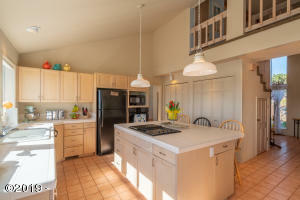 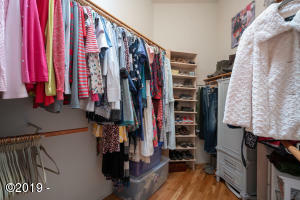 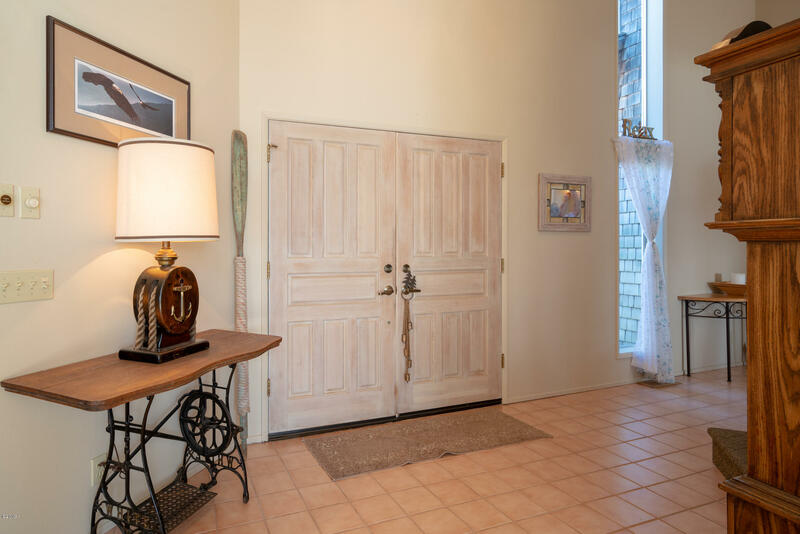 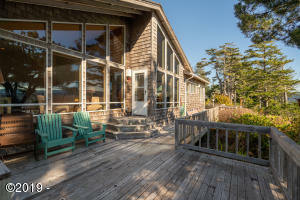 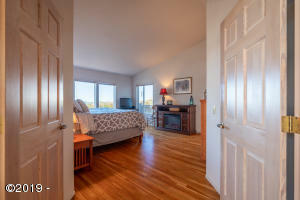 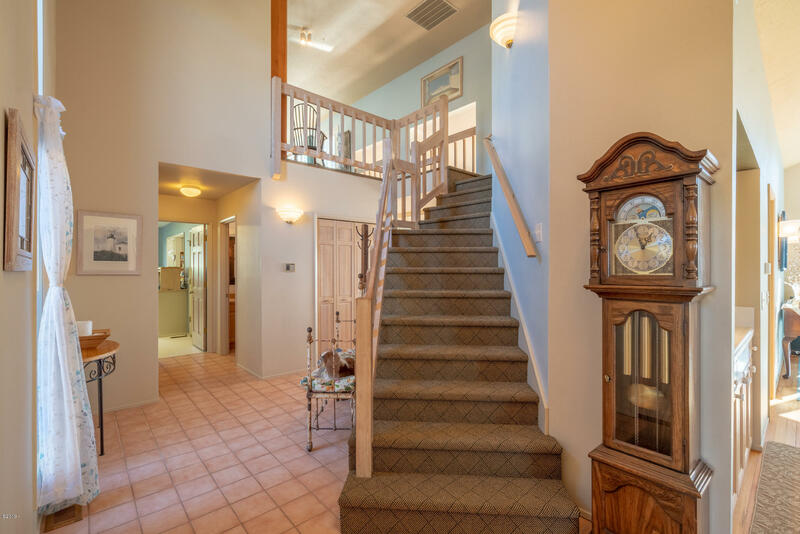 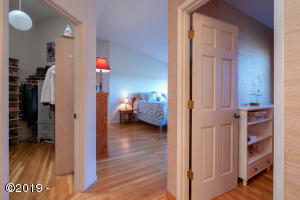 Ideal layout with large ocean view master suite and main living spaces on the main level. 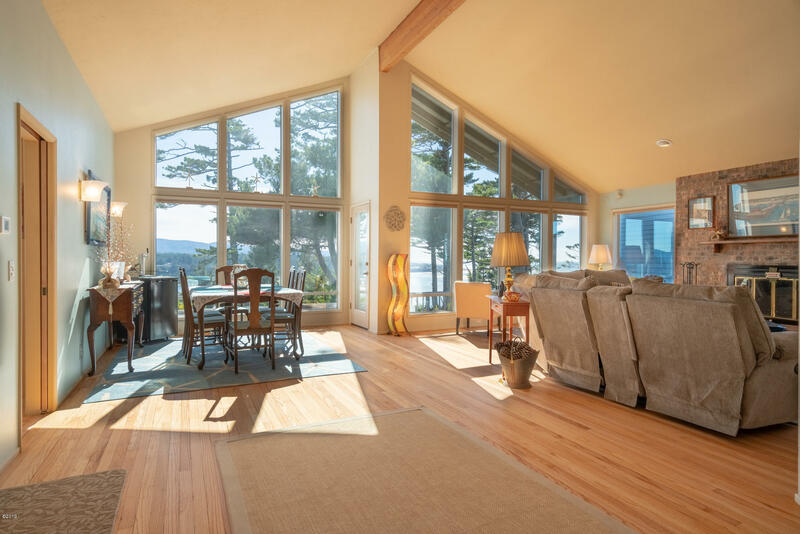 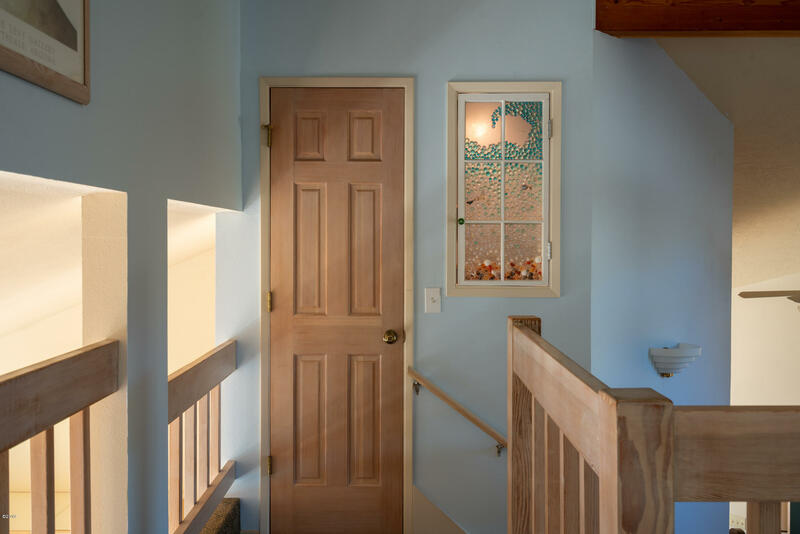 Hardwood floors, soaring vaulted ceilings, and walls of custom windows fill the house with natural light and create a peaceful ambiance that brings the outside in. 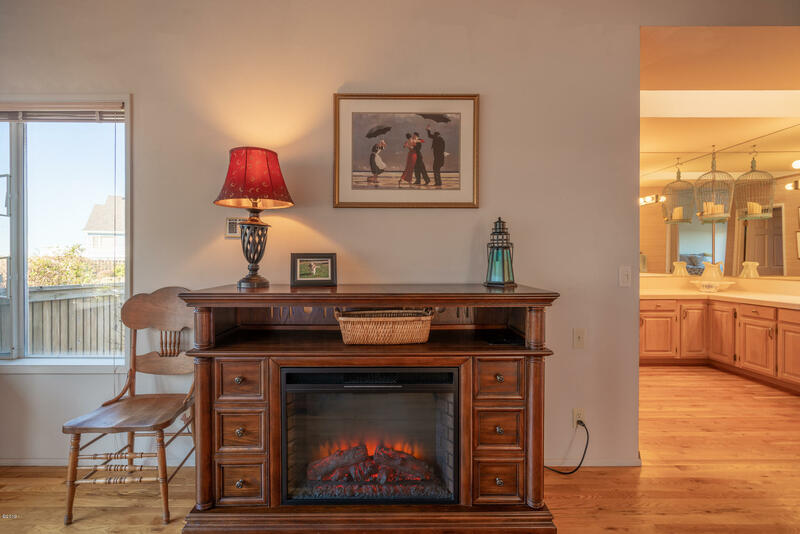 Wood fireplace in great room, large sunroom, and gated courtyard create cozy spaces for stormy nights, morning sunrise, anytime! 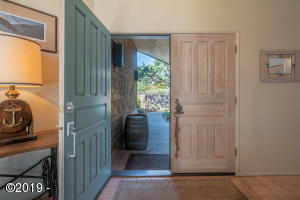 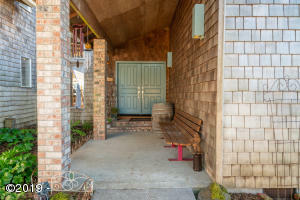 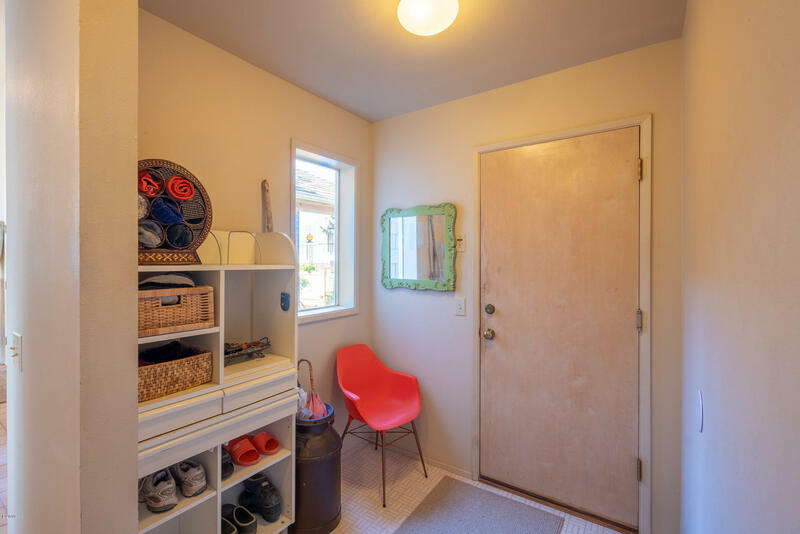 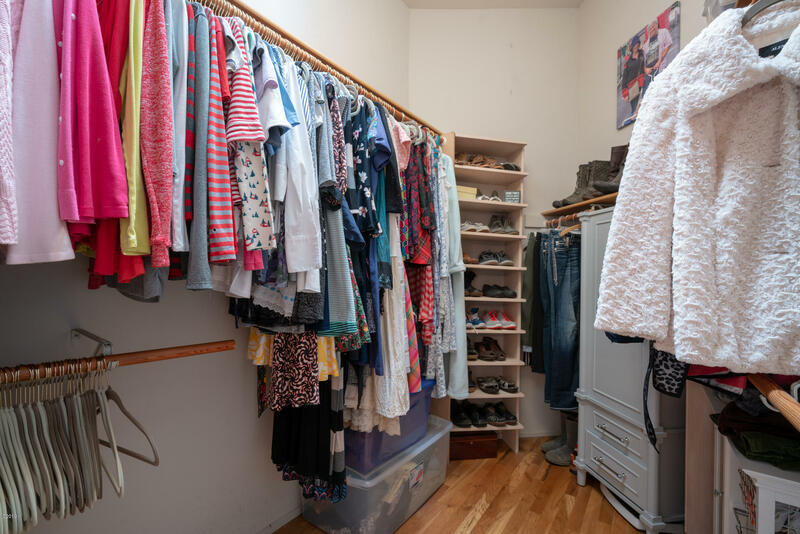 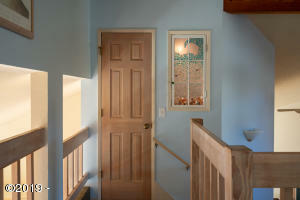 Grand porch entry, tons of driveway parking, and sold mostly FURNISHED! 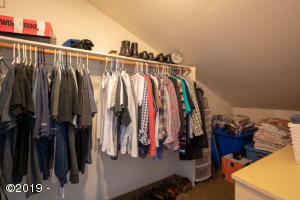 See amenities list. 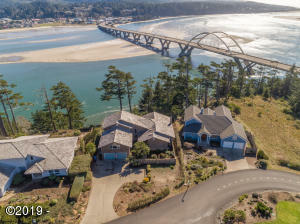 Directions Highway 101 north of Waldport, east on Bayview Rd, right on NW Highland Dr into Alsea Highlands. 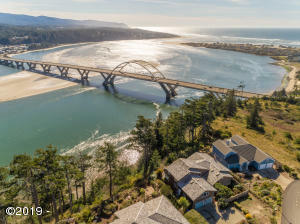 Property on the right.